Communication and Media Studies focuses on the emerging digital forms of media in the 21st Century, with emphasis on human and social communication. Students have opportunities to produce innovative media products that increase and enhance global-intercultural awareness. Courses emphasize the liberal arts and humanities by focusing on critical thinking, research, production, public speaking, and constantly evolving social diversity issues. The curriculum is designed to construct a foundational framework in the areas of communication, law, education, management, international affairs and other relevant fields of study. The viable framework prepares students for distinguished graduate studies and successful entrepreneurial and professional careers. In its effort to promote quality global learning experiences, the department partners with various organizations to create experiential study-abroad and internship opportunities. Departmental faculty advise the following student clubs/organizations. The News Argus is produced by and for the students of WSSU, and the target audience is the WSSU campus and surrounding communities. The Argus mission is to fulfill the seven traditional goals and responsibilities of news: inform, educate, entertain, advertise, serve as a watchdog, persuade, and provide a forum. Provide students with opportunities to produce good-quality productions. Provide students with fundamental experiences in researching, interviewing, writing, videography. Provide students the opportunity to make a positive contribution to the University. Provide an outlet for students to express their creativity. Provide opportunities for students to demonstrate organizational and time management skills by meeting deadlines completely, correctly, and on time. 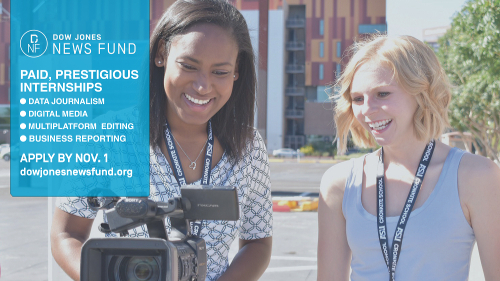 Provide students with opportunities to submit their work in national collegiate journalism competitions. In addition, more experienced staff members or staff members with expertise in electronic media will assist less experienced staff members with performing multimedia assignments. Any WSSU full-time student is entitled to become an Argus staff member. For additional information, please contact Mr. Donald Wood, Faculty Adviser at wooddj@wssu.ed or call (336) 750-8868. RAM-TV is a student media group which provides Winston-Salem State University with non-commercial information, news, educational, and entertainment programming. The organization provides WSSU students, particularly those in the Department of Communication and Media Studies with the opportunity to participate in television production operations and to create television/video programming that encourages the creation of ideas and free expression of issues and concerns. Watch RAM-TV on the campus digital cable channel 69.1. RAM-TV is designed to provide Winston-Salem State University students with hands-on experience in the television broadcasting/video production field. Toward the goal, the department’s digital HD television production studio located in Hall-Patterson 209 and editing suite located in Hall-Patterson 132 provide students with the tools they need to produce quality programming. RAM-TV is a place where students come together to learn, teach, and share skills they have learned in classes taught by the department. There are no restrictions to being a member of RAM-TV. Any student in good standing with the University can become a member of RAM-TV by attending meetings and expressing an interest. You can also join by logging on to the OrgSync website for WSSU student organizations, use your WSSU campus email address and password to login, then go to the Organizations menu at the top of the page to find RAM-TV, or send an email to russingcl@wssu.edu and ask to be invited to join RAM-TV. SU Radio is an intranet-based, student-operated station designed to give students enrolled at WSSU the opportunity to gain valuable experience in the field of radio broadcasting. Under the supervision of the Department of Communication and Media Studies and WSNC-FM (an NPR affiliate), students gain real-world training in every aspect of the radio industry. The professional staff members of WSNC advise and guide the transitional learning experiences of interested students who would like to become student staff members at the NPR affiliate. SU Radio is open to students from all majors and classifications and are encouraged to join its staff. Please contact Mr. Elvin Jenkins, Faculty Adviser at jenkinse@wssu.edu for more information. The Dow Jones News Fund and American City Business Journals are offering college juniors, seniors and graduate students the opportunity to spend a week in the financial capital of the world before reporting to work at paid summer internships as business reporters. 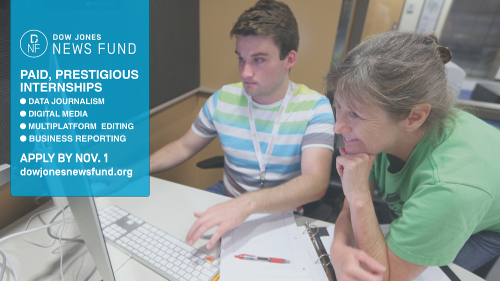 Dow Jones News Fund - the Fund mentors the next generation of newsroom leaders, promoting journalism fundamentals while advancing new storytelling methods using data and digital innovation. Paid, Prestigious Internships in Data Journalism, Digital Media, Multi-Platform Editing and Business Reporting. The National Communication Association Student Club (NCASC) provides a forum for interaction among students, faculty, and others interested in the study, research, criticism, training, and application of the artistic, humanistic, and scientific principles of communication. Upon meeting the academic requirements (appropriate GPA and earned credit hours), NCASC members are encouraged to join one of NCA’s honor societies, Lambda Pi Eta and Sigma Chi Eta. LPH and SCH local chapters sponsor a variety of scholarly and service oriented activities that NCASC members are welcome to attend. For more information, please contact the faculty advisers, Dr. Althea Bradford at bradfordab@wssu.edu and Dr. Andrea Patterson-Masuka at pattersona@wssu.edu. WSNC 90.5 FM Radio Station, the premier “Jazz Station” in the Piedmont Triad, is a 10,000 watts National Public Radio (NPR) affiliate and operates under the auspices of the department.